Join our Solstice Tour that departs London at lunchtime and heads west towards the site, taking time to enjoy the ancient stones at Avebury, before heading to picturesque Lacock for an early evening supper, included in the price. From here we journey to Stonehenge itself arriving at roughly 7pm, as it begins it’s annual celebration of the summer solstice. Huge crowds gather and there will be plenty of time to soak up the atmosphere of this historic event, walk amongst the stones, and observe the pagan rituals and ceremonies that take place at varying intervals throughout the evening. Please note there are two twenty to thirty minute walks involved during the day in order to see the celebrations at Avebruy and Stonehenge. 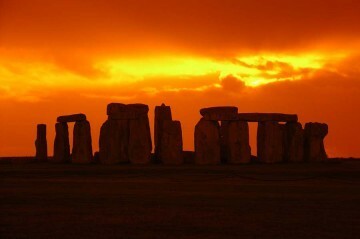 Join our Premium Tour that departs London at 1am on the 21st June 2013 and heads directly to Stonehenge arriving at roughly 3am. 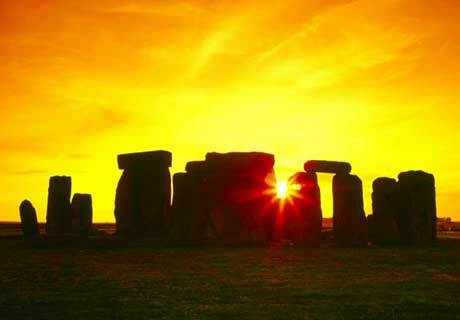 The annual celebration of the summer solstice will be well under way by then as the atmosphere builds towards the sunrise, and the climax of the event. Huge crowds gather and there will be plenty of time to soak up the atmosphere of this historic morning, walk amongst the stones, and observe the pagan rituals and ceremonies that take place at varying intervals throughout the evening. Please note there is a twenty to thirty minute walk involved in order to get from the coach park to the event. There are authorised catering facilities on the site and some personal food and drink is allowed to be brought onto the site. Please bring them in a small bag – large rucksacks are not permitted. Glass is not permitted and will be confiscated – many people walk barefoot and the livestock graze in the area throughout the year. A small amount of alcohol is permitted on the site amounting to no more than one bottle of wine, or 4 500ml cans of beer or cider. Please note consumption of alcohol on the coach is not permitted. Due to the large numbers of people who attend the vent, naked flames are strictly forbidden. Small ground sheets and blankets are allowed.